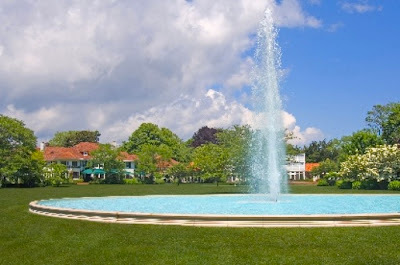 'Lenoir', the Rufus Lenoir Patterson estate designed by Grosvenor Atterbury c. 1915 in Southampton. Patterson was the founder and board chairman of American Machine and Foundry Company, click HERE for more on Rufus Patterson and 'Lenoir'. 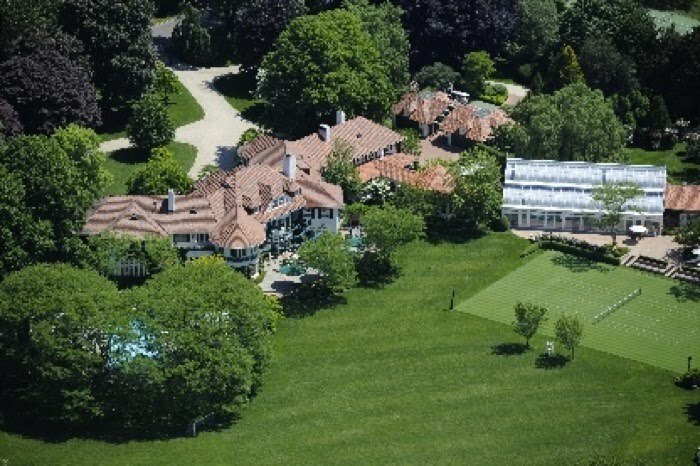 The estate along with over 9 acres on Ox Pasture Road is currently for sale for $49,500,000, click HERE to see the listing on Corcoran. Click HERE to see 'Lenoir' on google earth and HERE on bing. It has potential, doesn't it? Interesting how many times Atterbury re-worked the basic form and design concept used in this house. wa -wa-wa-DED - i think this place it great - eclectic - run-on - lots of the stuff every place should have and besides, it didn't have that much panache in the first place. the interior are grand and elegant. that staircase- i hope they're leavinig the artwork - i love it and that huge backyard fountain - oh yeah. well, maybe the pool with the fountain and the slide and the gym are a little garish but if i had that kind of money, i might do the same. DED - you're just depressed with all that snow. you need to spend a couple of weeks in florida at the biltmore. ps - your link directs me to a google sign in page which won't take either my google user name or password. you sure that's the right URL? I understand the initial shock, but much of the glitz could be toned down. 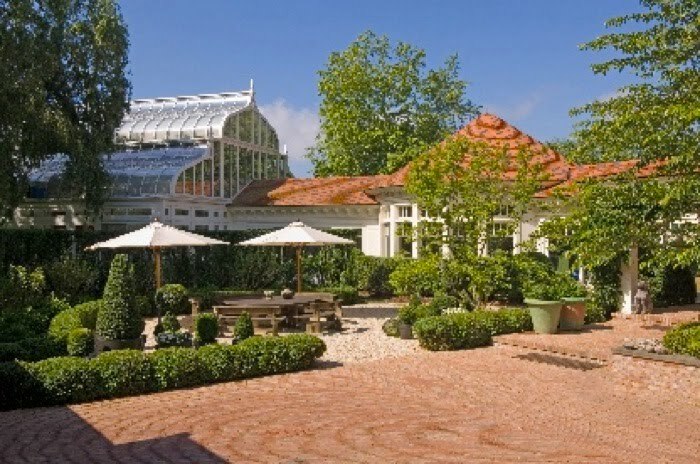 The swimming pool season is so short in the Hamptons where the pool water can be cold even in July; I can understand the thinking about the Machin conservatory (although I could have come up with a better though perhaps more costly solution). The reality is that so many people who can afford it, and I don't mean just the purchase price, want something more showy than a G Atterbury house offers. I am glad that it has been preserved to the extent it has. Reminds me of a glitzy hotel...though I'm not complaining...I'd stay there. I'm a bit curious if anyone else has purchased the book "The Architecture of Grosvenor Atterbury". I acquired a copy of the Norton published book late last year as I've long admired his body of work. What was irksome was a significant publishing defects with missing pages and also duplicated sections. While I was fully refunded I've sadly steered away from taking a risk on acquiring another copy. I agree with you D Classicist -- in the world of a ton of money being poured into an old & relatively unflashy house I think what's been done & not done here speaks well for the current owners. Among other things a) the front of the house is unaltered, b) most of the 'accessories' are to the side & not staring at you in the public rooms, & c) none of the original house appears to have been removed. I'm also impressed there are no marble floors or glass banisters & there are still shutters & even the planter boxes under the second story tower windows. Yet it wasn't torn down & could have been much worse. 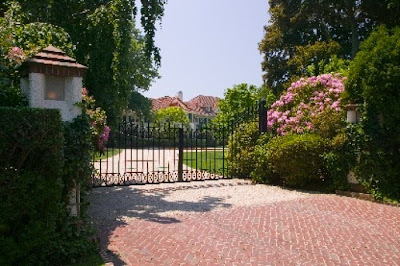 Personally, I'd much prefer the old Kiser estate a few blocks west on Ox Pasture Road @ Captain's Neck Lane, lately owned by Howard Gittis, who called it Westerly. My understanding was that it was the scene of a weekend bash that spun out of control; from engagement party to vandalism of another Hamptons house by the inebriated guests. 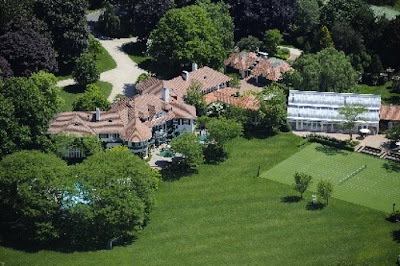 Security word - duches: what we call all those vulgar rich people who don't remodel/restore these Hamptons gems just exactly the way we want them to. This house was on the Southampton house tour last May. Definitely the highliight. $50M? That's alot of cheddar. Could the party you were thinking of be the Fernanda Leas coming-out party back in the sixties? Her grandfather, Donald Leas, was a real piece of work. I am blown away at the flasshy price tag and I, for one, dont like the idea of the people who can actually aford this..they are the one's who wrek'd everything. 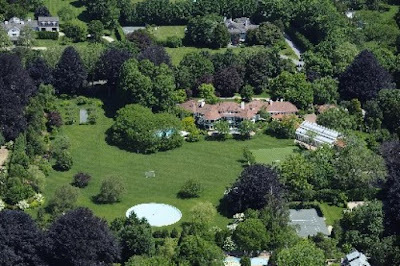 Have they stopped heating pools in the Hamptons? sec word: sluxesse -- As in, Nothing succeeds like sluxesse. Ancient, there are deep heated pools in the Hamptons that will ice your sweet tea. Thanks for jogging my memory DED, and glad I could be of service. Was it Fernanda Wanamaker Wetherill's debut, and wasn't her mother also named Fernanda? Funny how Time Magazine downplayed it at the time. Googling Fernanda comes up with a wealth of society tidbits, such as the 1955 Life Magazine spread on a Baghdad-themed fifth anniversary party ––– oh those crazy kids. That's right, LGB (any way we can work a T into your initials?) it was Fernanda WETHERILL, whose mother was at the time married to Donald Leas Jr.
Security word, explogi---a traditional eastern european delicacy combining potato, sauerkraut, and dynamite.